I am surrounded by friends who are girls and guys on the go. They travel a great deal when they aren’t working, working out or running after children or grandchildren. In between activities, however, they might stop for a chic lunch and at the end of the day grab a drink or dinner, without having had time to go home to change. When traveling, who doesn’t love to walk miles in a new city? It’s the best way to get to know a place. What’s not fun is to pull up lame with blisters or sore feet and have to cut the touring short. Second worst is to have to carry around a nicer looking pair of shoes you plan to change into for lunch or dinner out. Here are some shoes – for both men & women – recommended to me by friends who love to look chic while traveling, touring and walking for miles. These shoes are versatile, comfortable and stylish. Samuel Hubbard makes great looking, comfortable shoes for men and women. The Hubbard Free is a nubuck lace-up shoe that can be worn to work or out for a run. It has a leather lining, vibram sole to provide support and a lightweight Kevlar shank to provide arch support. It comes in ten colors. $210 a pair. Hubbard Free for men, Hubbard Free for women. 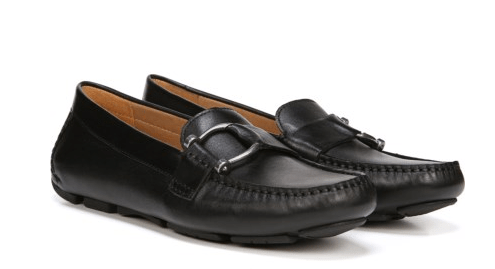 Naturalizer makes a very good-looking women’s loafer called Nara. It comes in seven colors, including black suede. It has extra cushioning and a flexible non-slip sole and a breathable lining. $99.00. 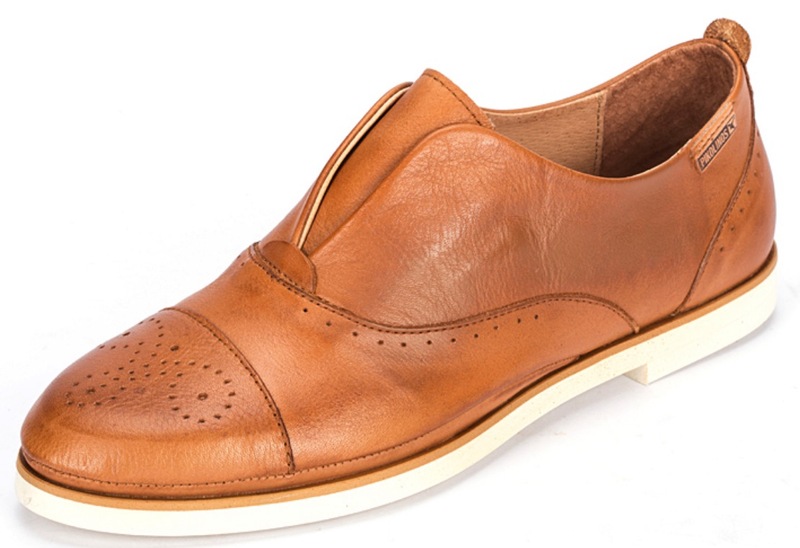 The Pikolinos Santorini loafer for women has a men’s shoe silhouette. 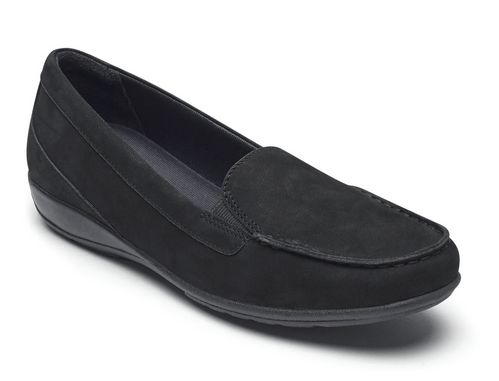 The leather is very soft, has elasticity for easy slip-on and a comfortable fit. It has a cushioned footbed and a leather lining. It comes in brandy and black. $175.00 Right now they’re on sale for $122.50. They make a similar but not identical loafer for men called the Vancouver and is $180.00. 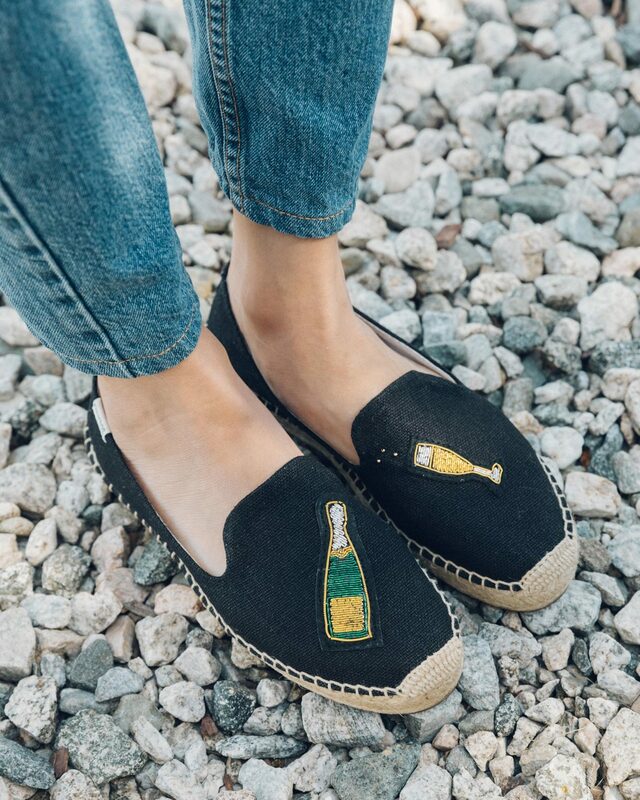 Tom’s Avalon slip-ons are available for men and women. The women’s shoes come in 15 colors and range in price from $50.00 – $98.00. They have added a lot of styles for men and women. Keep in mind Tom’s One for One program – for every pair of shoes you buy, they donate a pair to someone in need. Rockport Gracelyn is a form fit women’s moc that is very attractive. It is lightweight with support to every part of the foot. Prices range from $49.99 – $90.00. 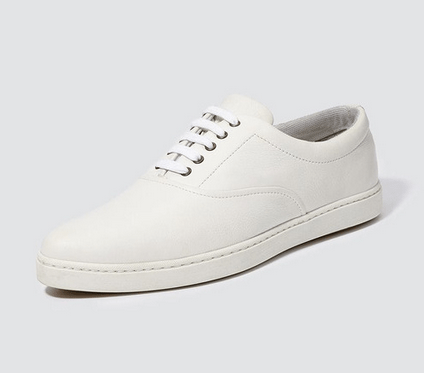 Tomas Maier’s Trainers are very chic white leather lace-up women’s sneakers. They have rubber soles and are $390.00. 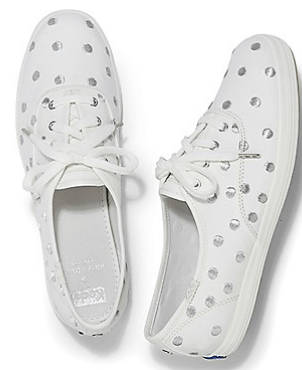 Keds fun, colorful prints dress up these sneakers designed by Kate Spade. Rubber soles with black laces. They have a breathable lining and a cushioned insole. They can be spot cleaned and air dried. $80.00. 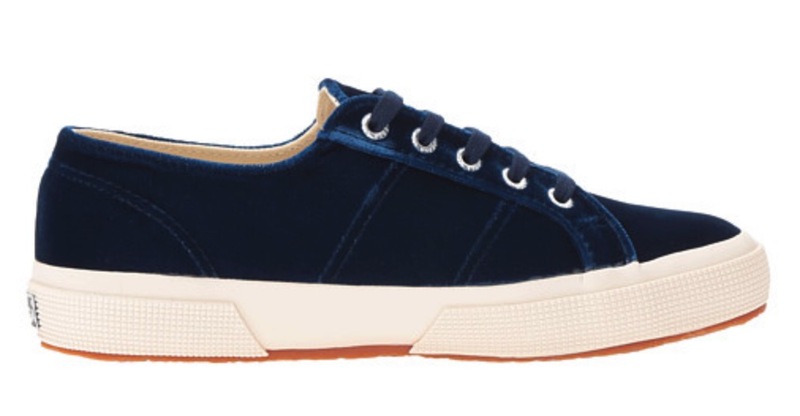 These women’s Superga lace-up velvet sneakers are very cool. They have a soft velvet upper, breathable cotton lining and a cushioned footbed. They come in three colors – black, blue and violet prune. $119.00. 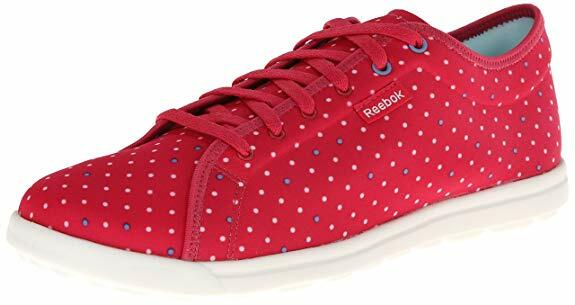 Reebok’s Skyscape Runabout Walking Shoe for women is very popular. They are rubber soled, have a foam-cushioned upper sole and are seamless. They have “Skyspring supportive comfort technology” and come in many colors and prints. They range in price from $42 – $63. They are easy to pack. 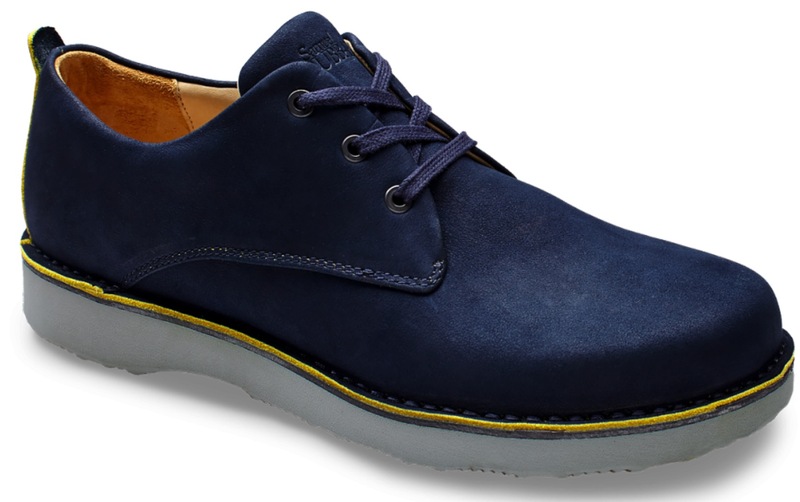 Arcopedico comes highly recommended by ASE subscriber Deb M. These are vegan lace-up oxfords with a knit upper. They have an anti-microbial lining. The insole is cushioned and has twin arch support. They are machine washable and come in 21 colors. $105.00. They also make comfortable shoes for men. Zero Grand Laser Wingtip Oxfords by Cole Hahn are available for both men and women. In men’s there are 11 colors available and each pair is $300.00. 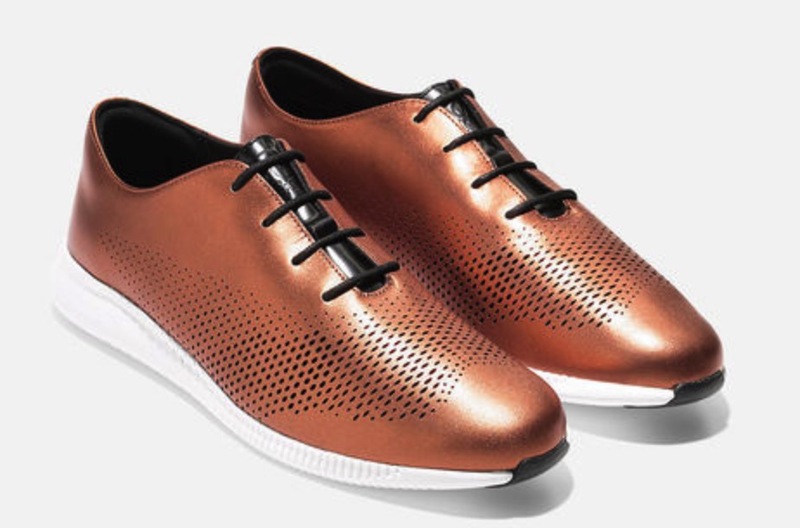 These are the latest version of Cole Hahn’s supported flexible lightweight shoe. It has an anatomically contoured energy foam footbed. They also have a Comfort Footsock to cradle the foot. They have a full rubber outsole. Women’s Zero Grand Laser Wingtip oxfords come in 9 colors and are $230.00. Can you believe these are Dr. Scholl’s? The Flair Flat have the BE FREE energy technology insole and a flexible durable sole. They will look great with jeans as well as skirts. $90.00. They also come in black and red. 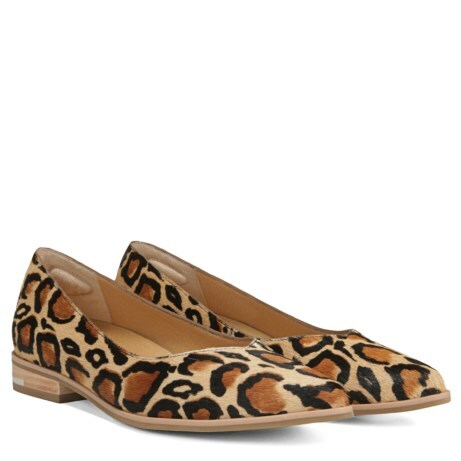 Born Juliannes are great looking simple flats. They have a leather upper and are easy to put on. There is a soft suede lining, a lightly padded footbed and a composite shank for midfoot support. There is a rubber outsole. They come in 8 colors and are $85.00. Looking for something with a little more glam? ASE has more ideas for you. Thanks for the list of shoes, Seems to be comfortable ones, when it comes to walking , standing or traveling I always went to walking shoes or running shoes they can afford all the comfort you need, like cushioning, flexibility, stability and space for toes and good materials too.